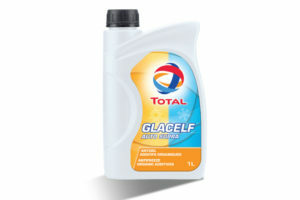 Choosing an antifreeze product or a coolant is not a decision to be taken lightly, says Total. To protect your engine from a multitude of problems, and to ensure trouble-free starting in all weathers, it is important to use the correct quality product. The cooling system in an engine helps prevent damage caused by freezing, cavitation, corrosion, overheating and the formation of deposits. Should the cooling system not function correctly, the engine may begin to fail, as could the radiator, water pump, head gasket or engine block. At worst, the engine could be destroyed. Coolants are, of course, important all year round, but the winter brings new challenges that can affect the performance of the cooling system and make vehicles harder to start on those freezing cold mornings. Total offers a range of premium quality and officially-approved OEM products, for cars, vans, trucks, buses, construction machines and agricultural tractors. The range contains ready-to-use and concentrate types, including many products that provide protection against freezing down to -37°C. According to the manufacturer, it’s a winning formula, and perfect for winter. There are three main functions of coolant – to safeguard heat exchange, to withstand low and high temperatures, and to ensure protection of the materials. In winter, withstanding low temperatures is more important than ever. Total coolants are claimed to have much longer service life compared to conventional products. They allow for extended drain intervals, resulting in less maintenance downtime, lower coolant replacement costs and less possibility of harm to the environment. Total coo lants are also formulated based on special OAT inhibitor technology. 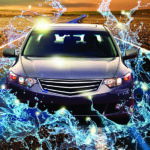 This is said to answer the need arising from the increasing complexity and technological advancement of cooling systems in modern vehicles. The extremely low additive depletion rate is claimed to ensure long coolant operational life and complete coolant system protection, under all operating conditions. Total Coolelf and Glacelf coolants both contain the additives required to protect a full range of different vehicle types, while performing well in the winter’s frosty conditions. Total firmly believes that a worry-free coolant, with official approvals from leading OEMs and different official authorities, should always be used, allowing the driver to have peace of mind throughout the winter period. 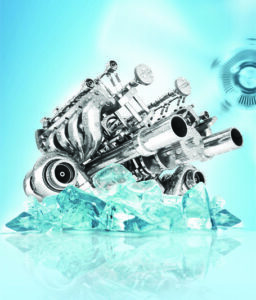 For more information about the range of coolants and additives available from Total, click here. Next : Registration for MECHANEX EventCity is Now Open!